The very practical and powerful reward of the SYD training is you are one of the first instructors to learn this new technique. As you incorporate the richness of the SYD connective articulation, the many layers composing the dances, as well as your personal contributions, other aspects of your teaching become empowered. Shakti Yoga Dances are wonderful communal expressions, and work especially well as tribal ritual in times of national grief, and/or celebration. Dance has always brought people together, and when Yoga adds spirit and breath, Grace and healing are the result. In some ways, SYD are dances of remembrance. Through ritual we are reminded of our power and potential. We remember we are light-bodies, despite sorrow and carelessness. We remember we are one, and we move as one. 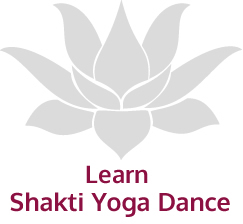 Click on the images below to learn more about Shakti instructors. © 2013 - 2019 Samantha Cameron. All rights reserved. All photos courtesy of Will Ceurvels. Login | Site by DMY Studio.